CBS announced several winter and spring scheduling moves, including the series premieres of dramas Ransom, Training Day and Doubt. 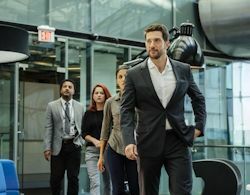 The Network will begin rolling out its new scripted programming on New Year's Day with the launch of Ransom, a crime drama about a world-renowned crisis and hostage negotiator whose team is brought in to resolve the most difficult kidnap and ransom cases. The new drama debuts on Sunday, Jan. 1 after a football doubleheader, and moves to its regular Saturday time period of 8:00PM ET/PT on Jan. 7. Luke Roberts, Sarah Greene, Brandon Jay McLaren and Nazneen Contractor star. CBS will launch two dramas in February, beginning with Training Day, premiering Thursday, Feb. 2 at 10:00PM, ET/PT after freshman drama Pure Genius completes its season order. 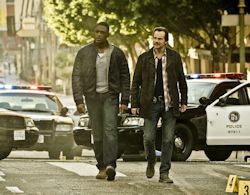 The series is a crime thriller starring Bill Paxton and Justin Cornwell that begins 15 years after the events of the feature film, about a young, idealistic police officer who is tapped to go undercover in an elite squad of the LAPD where he partners with a morally ambiguous veteran detective. Katrina Law, Drew Van Acker, Lex Scott Davis, Julie Benz, Christina Vidal and Marianne Jean-Baptiste also star. Doubt will premiere Wednesday, Feb. 15 at 10:00 PM ET/PT following the season finale of Code Black the week prior. 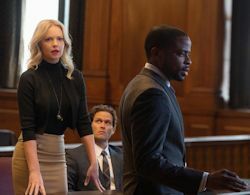 The new drama stars Katherine Heigl as a brilliant attorney at a boutique firm who starts to fall for her charismatic client, an altruistic pediatric surgeon recently accused of murdering his girlfriend 24 years ago. Dulé Hill, Steven Pasquale, Elliott Gould, Dreama Walker, Laverne Cox and Kobi Libii also star. As previously announced, the new competition series Hunted premieres Sunday, Jan. 22, immediately following the NFL's AFC Championship game (10:00-11:00 PM, ET/7:00-8:00 PM, PT - time is approximate after post-game coverage). 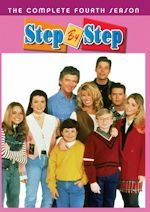 The series moves to Wednesdays on Jan. 25 with a special two-hour episode, 8:00-10:00 PM, ET/PT, and then in its regular 8:00PM ET/PT slot in subsequent weeks. Also, in the second half of the year, the eighth season of two-time Emmy Award-winning alternative series Undercover Boss will premiere with a special two-hour episode on Wednesday, Dec. 21 from 8:00-10:00 PM, ET/PT. It moves to Wednesdays at 8:00PM ET/PT) on Dec. 28, until the time period premiere of Hunted on Jan 25. The next season of Survivor debuts with a two-hour premiere on Wednesday, March 8 from 8:00-10:00 PM ET/PT, one week after the conclusion of Hunted. The series moves to its regular Wednesday at 8:00 PM ET/PT) time period on March 15. The reality series The Amazing Race returns on Friday, April 21 from 8:00-10:00 PM ET/PT, with a two-hour premiere one week after the season finale of MacGyver the week prior, then moving to its regular Friday at 8:00-PM ET/PT time period on April 28. The premieres of new comedy Superior Donuts and sophomore drama Criminal Minds: Beyond Borders will be announced at a later date. 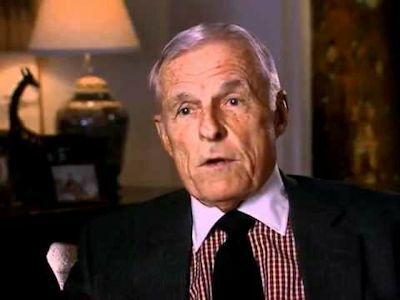 Television producer and executive Grant Tinker, who served as Chairman and CEO of NBC from 1981 to 1986, has died. He died at his Los Angeles, California home on November 28. Mr. Tinker was 90. Tinker married actress Mary Tyler Moore in 1962. They formed the television production company MTM Enterprises in 1969. 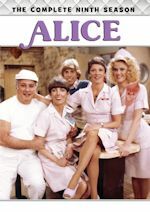 Tinker hired James L. Brooks and Allan Burns to create and produce the company's first television series, The Mary Tyler Moore Show, in 1970. MTM produced hit series such as Rhoda, The Bob Newhart Show, Lou Grant, The White Shadow, WKRP in Cincinnati, Hill Street Blues and St. Elsewhere. Tinker left the company in 1981 after his divorce from Moore. He became the Chairman and CEO of NBC in 1981. NBC was in last place in the ratings at the time. 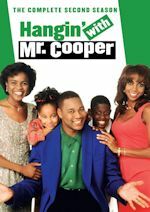 During his tenure from 1981 to 1986, NBC developed hits like The Cosby Show, Family Ties, The Golden Girls, Cheers, Night Court and Hill Street Blues. He later formed GTG Entertainment (Grant Tinker-Gannett). 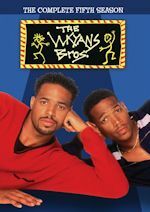 They produced the syndicated newsmagazine USA Today: The Television Show and the CBS dramas TV 101 and WIOU. Tinker was inducted into the Television Hall of Fame in 1997. He received a personal Peabody Award "for recognizing, protecting, and fostering creativity of the highest order" in 2004. The Archive of American Television conducted an extensive interview with him in 1998. Survivors include his wife, Brooke Knapp; his sons, Mark, John and Michael; his daughter, Jodie DiLella; his sister, Joan Swift; 10 grandchildren and many great-grandchildren. Mark and John Tinker work as television producers, directors and writers. Mr. Tinker was a TV giant. He made NBC a ratings powerhouse in the 1980s. We thank him for the many great sitcoms he brought us during his career. He will be greatly missed.